ABOUT 23, 000 people in the west bank of Zambezi district are in need of relief food as all their fields have been washed away due to floods the area has experienced in the recent past, Zambezi District Commissioner Lawrence Kayumba has disclosed. Mr Kayumba said the floods have destroyed all the maize and cassava fields forcing the people in the area to start eating wild fruits. He said the west bank had been heavily flooded this year and all the crops had been destroyed leaving nothing for the people. “There is totally nothing left for the people in the area as we are speaking. All the crops were destroyed by the floods and people may start surviving on wild fruits,” Mr Kayumba said. He said the area was prone to floods and appealed to the Disaster Management and Mitigation Unit (DMMU) to urgently send relief maize to the area to help avert the looming hunger. “My only appeal for now is that the district disaster committee should quickly look into the matter and send some relief food before the worst happens,” Mr Kayumba said. 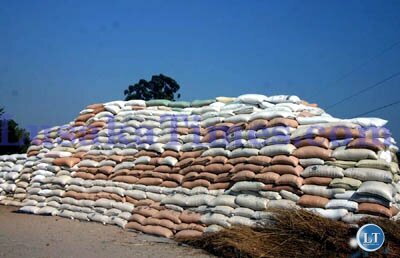 The district commissioner disclosed that about 6, 000 x 50 kilogramme bags of relief maize were required to help avert hunger in the area. Mr Kayumba said Government released 100 metric tonnes of relief maize recently for the area which was distributed to people, but was not enough as the population had increased. 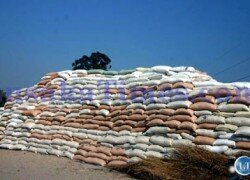 “We received some consignment of maize which we distributed to the people, but the maize was not enough,” he said.